Here at NorthWest Locksmith we offer services all around the Portland metro area and the suburban areas around it. That includes the small town of Clackamas as part of our service area coverage. Whether you were locked out of your car in Clackamas Town Center, or need a lock rekey service for your home in Gladstone, we got you covered! 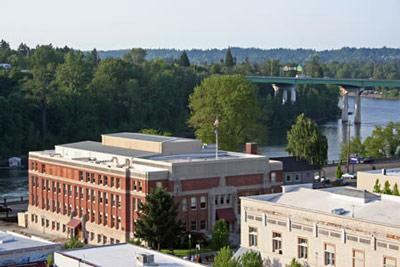 Located underneath the southern east side of Portland, the small town of Clackamas is part of the Clackamas County with a population of over 7,000 residents and 2,000 households. Clackamas OR is one of few towns in the area that were never incorporated, meaning the town is not governed by its own local laws. One of the town’s main attractions is one of the larger shopping centers in Portland metro area, the Clackamas Town center. The town of Clackamas is also the home of the military base Camp Withycombe which was originally founded in 1909. 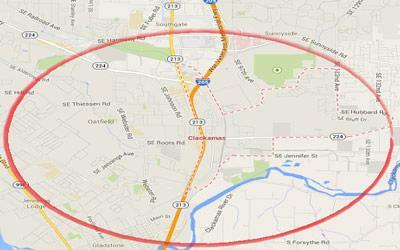 The map is describing our service area radius for Clackamas OR.